Recycled Rita: Weird and Scary? 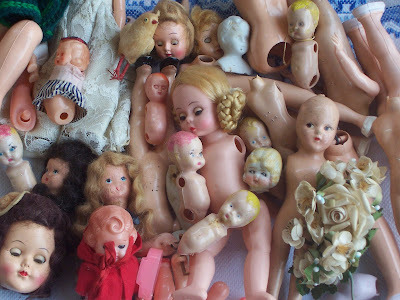 I know some people are freaked out by dolls, some of these would probably fall in that category but when I saw this bag of doll parts my heart just went pitter-pat. I haven't figured out what I will do with them yet, I am going to share some on my etsy, but they still make me smile! They are so freaky cool Karen!! 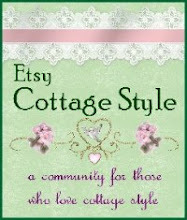 Come be my friend on my blog and enter a giveaway! Some faces are so sweet. Love them!!! oh wow! that really is a very good lot of dolls. 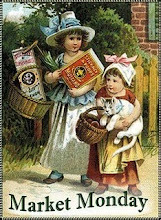 I love old dolls.. they are so sweet to me and so much better looking than modern dolls. You asked about that cemetery being in southwestern PA... yes it is! I actually live in Butler county... and the town of Butler is about 20 minutes from me. ;) small world! Now when did you get these? They're awesome! Glad to see you have inventory in your store! What a cool find!!! Love that little "chickie" I see in the mix...you make me want to start going to fle markets and antique shows here.....I am ready...no more snow...sales here I come...if you need "buttons" I have TONS of old ones and am selling my Mom's very vintage ones on Ebay ...cheap...let me know and I will give you the ebay name if you are interested...or if you just want some freebies from me...mine aren't as nice as hers, but old just the same!! I love them! 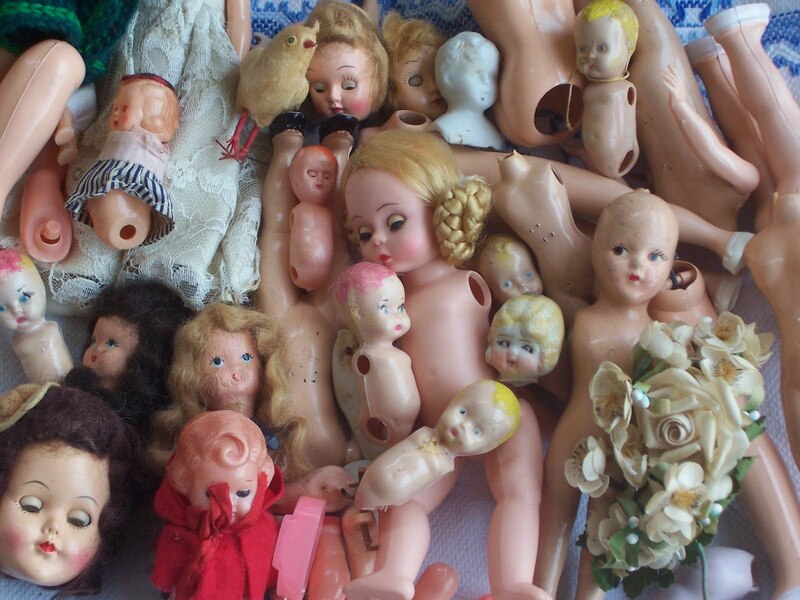 Once saw a Chippendale China cabinet just filled with doll parts...was so intersting! Oh, man....I want them...I will buy some from you...bring them to Glitterfest!!! You know how much I LOOOOVE doll parts!!!! Not freaky at all girl...I'm sure you are going to do something fascinating with them! Weird or scary.. this craked me up! I found the cutest doll head in a shadowbox frame once at the swap meet, I planned to buy it and my husband was total weirded out by it. Just a doll head how scary could it be?